Here is another new feature we've added to our site! There now is a Free Shipping Indicator bar. 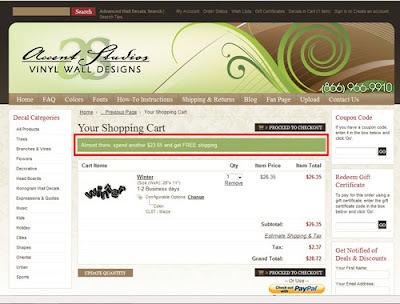 This basically let's you know that you can qualify for free shipping and just how much more you need to do so!